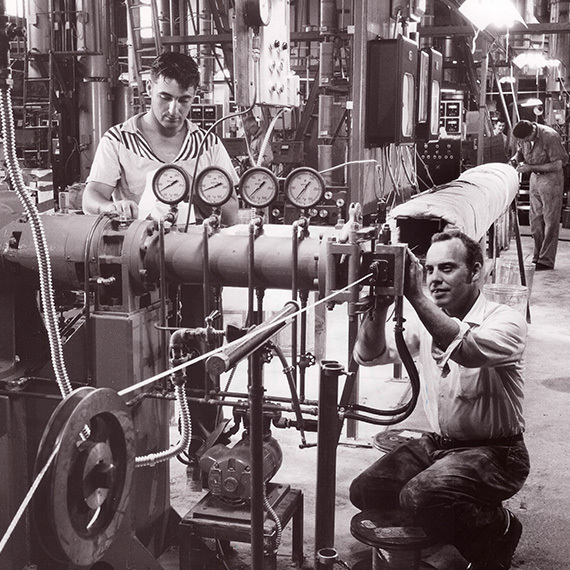 For over 60 years, we have been proudly inventing and manufacturing indispensable wire and cable solutions for nearly every major US industry. We’re unique for our materials science and irradiation capabilities, enabling us to develop high-performance wires and cables for the world’s most extreme environments. Sustainable business practices that support people and planet as well as profit are at the core of our business strategy and culture. Learn more about our Champlain Cable Environmental Management System and other sustainability-focused initiatives here. Our people are at the root of our enduring strength. Our focus on enhancing the lives of our employees has created a culture of respect and wellness, one that allows us to attract the best minds in the industry. Learn more about our leadership team as well as our commitment to our safety, career advancement and more. Awards, announcements and press releases—you can find the most up-to-date information on our business achievements and products here. Our high-performance wires and cables are at work every day, powering everything from construction and agricultural vehicles to the next generation of hybrid vehicles. From the coldest to the hottest points on earth and everywhere in between, our products deliver reliability, results and endurance. Learn more about where you can find our cables in action. Our facilities are outfitted with state of the art manufacturing equipment including compound equipment and testing, an extrusion line, cabling, irradiation, braiding and taping. They operate with a focus on high quality, consistency and reliability and with a workplace culture of safety, respect and collaboration.